Did you know in the UK only 18% of children aged 5 to 15 eat five portions of fruit and vegetables per day? Childhood obesity is also another massive health issue in this country, as it's estimated that 28% of 2-15 year olds are overweight or obese. Children should be encouraged to live active lives and follow healthy diets, but every parent knows this is easier said than done. 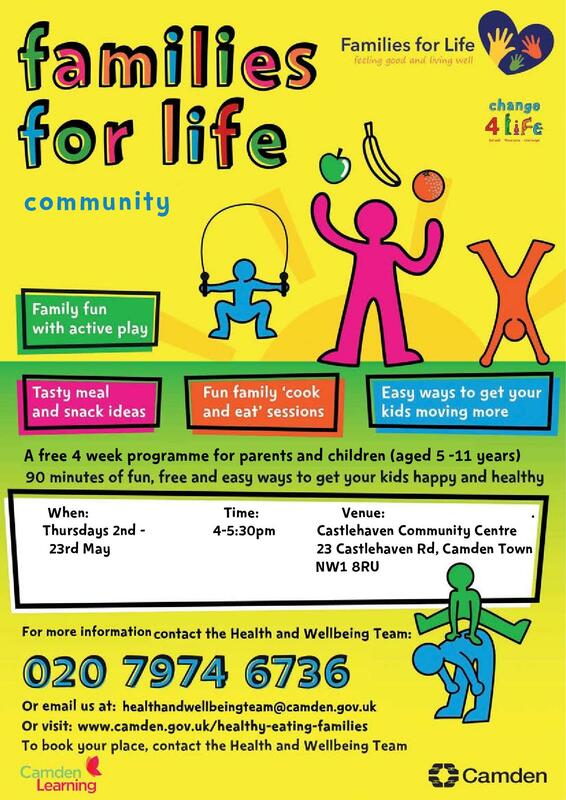 That's why we have teamed up with Camden Council to host a series of free Families for Life workshops. These sessions will demonstrate to parents how fun activities can actively encourage children to eat healthy foods and exercise.